On the other hand, there can be beautiful and meaningful situations that arise from a diagnosis, such as meeting others living with and dealing with the same struggles that we do. A Myositis diagnosis and being a part of a support group and organization, can build lasting relationships where each person is able to share and understand from the same perspective. Financial hardships cause stress, and stress is known to increase the risk of a Myositis flare, among other health-related issues. This is why we are actively developing our Financial Assistance program to provide direct assistance to patients for emergency household expenses, travel-related expenses to visit a Myositis specialist, and more. Getting a proper, quick diagnosis, and starting appropriate treatments, provides patients with the best chance of remission. 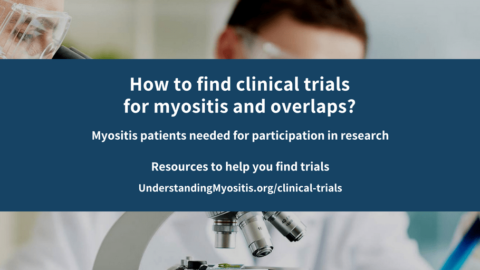 However, many doctors do not know enough about Myositis to provide this chance and we want patients to have access to the best doctors. This often requires travel, depending on where patients live, and that becomes costly. Our Financial Assistance program will ensure that patients have the funds they require to get to a specialist who has the experience needed for proper testing, diagnosis, and treatment of Myositis. 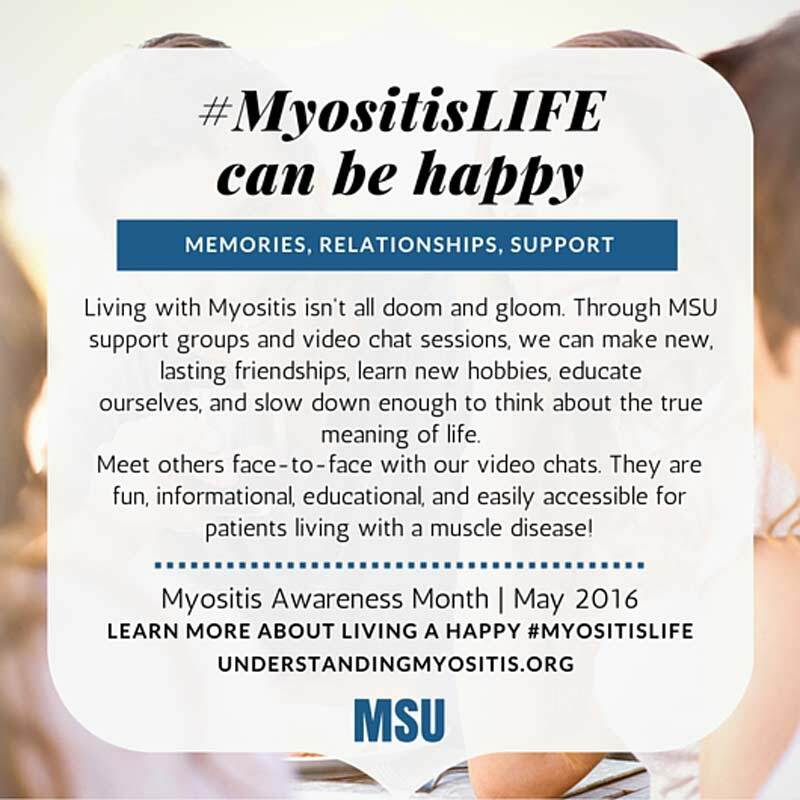 Helping others to understand what life is like living with Myositis is difficult for many valid reasons. 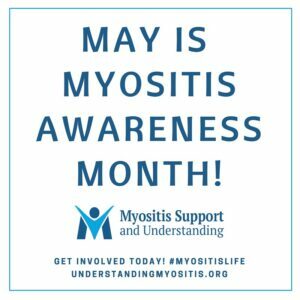 One is that Myositis is a rare disease that most people have never heard of, unlike cancer or Rheumatoid Arthritis. 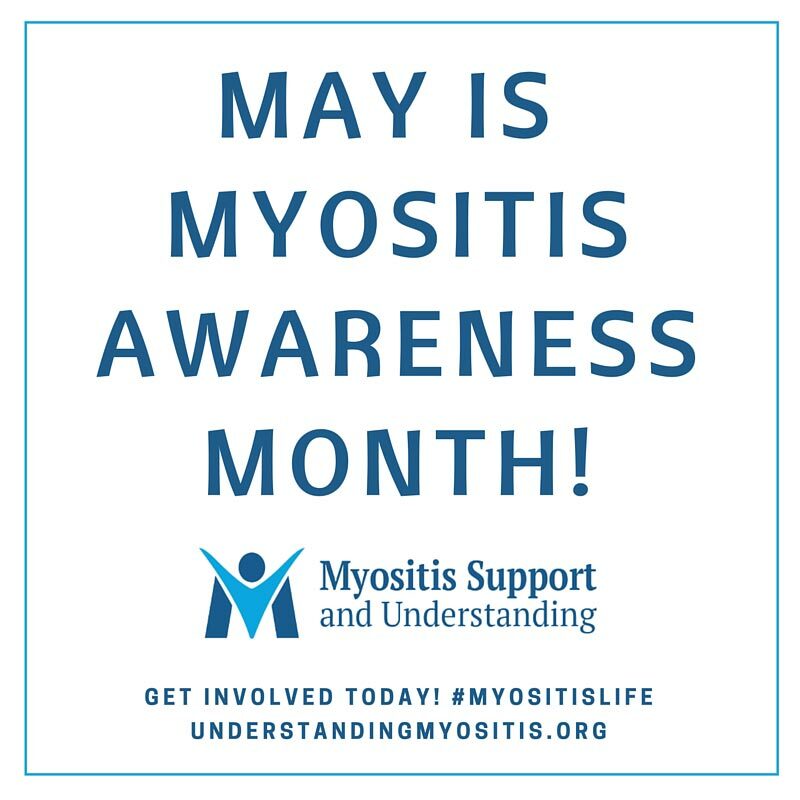 Many living with Myositis may not appear sick on the outside, and living with an invisible illness makes it very difficult even for family members and friends to understand that we are very sick on the inside. 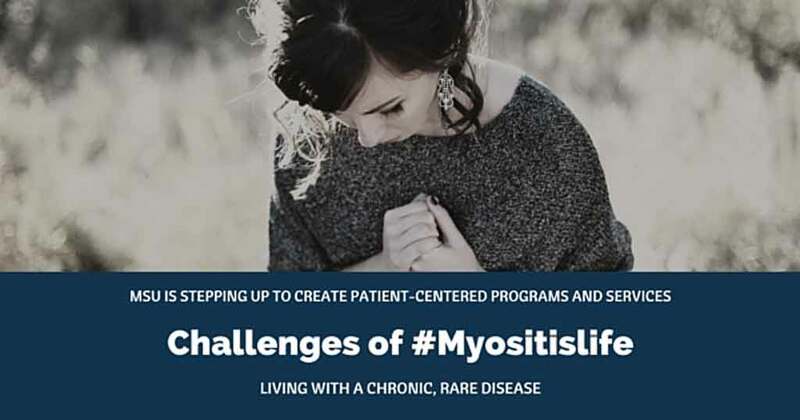 Also, we cannot realistically expect doctors, healthcare providers, and other organizations to completely understand what living with Myositis is like since they do not have it; but, we can show them through our #MyositisLIFE campaign during Myositis Awareness Month, May 2016. Relationships can also be affected by Myositis. Our members have told us that their spouses or partners have left them; unable to deal with the difficulty this disease puts on a relationship. On the other hand, we have also heard how Myositis has brought couples closer together as they realize what is truly important in life. In our closed support groups, we have also discussed the loss of friends due to our disease. Quite a few have expressed that they felt abandoned once they were no longer able to do the things they used to with their friends. While this is upsetting to say the least, some people do this because they simply don’t understand our new life, or they were never true friends to begin with. After his diagnosis, Jerry Williams found that many of his friends stopped inviting him to “hang out” or attend events. After speaking with some of them to find out why, many stated that when they did ask, and he wasn’t able to attend because he was too sick, they just stopped asking. Others told Jerry they just couldn’t stand to see him so ill.
We want to let our friends and family members know that they can ask open and honest questions to help them better understand. An open conversation will allow us to explain to them how pain, weakness, and fatigue can make us seem unreliable, while reminding them that it is nothing personal. We want to continue to be asked to be a part of their lives as long as they try to understand that some days are simply worse than others. And, we hope our friends will agree to do some of the things that we are able to do, like watch movies, play games, get involved in craft projects, etc. Another often reported situation is that you may feel well enough one day and decide to get out of the house to do something fun, and then another day someone might ask you to do something and you are not able to do. This can make that person become angry because they do not understand that each and every day can be so different with Myositis. Social networking has an impact on this. If we post images of us out one day appearing well, our friends and family see that and expect that we should be able to do that each and every time we are asked. 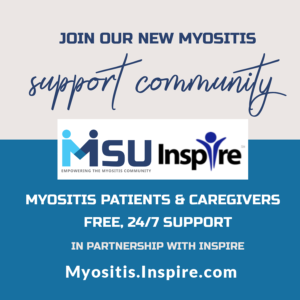 As for MSU, we were founded by Myositis patients, for Myositis patients. 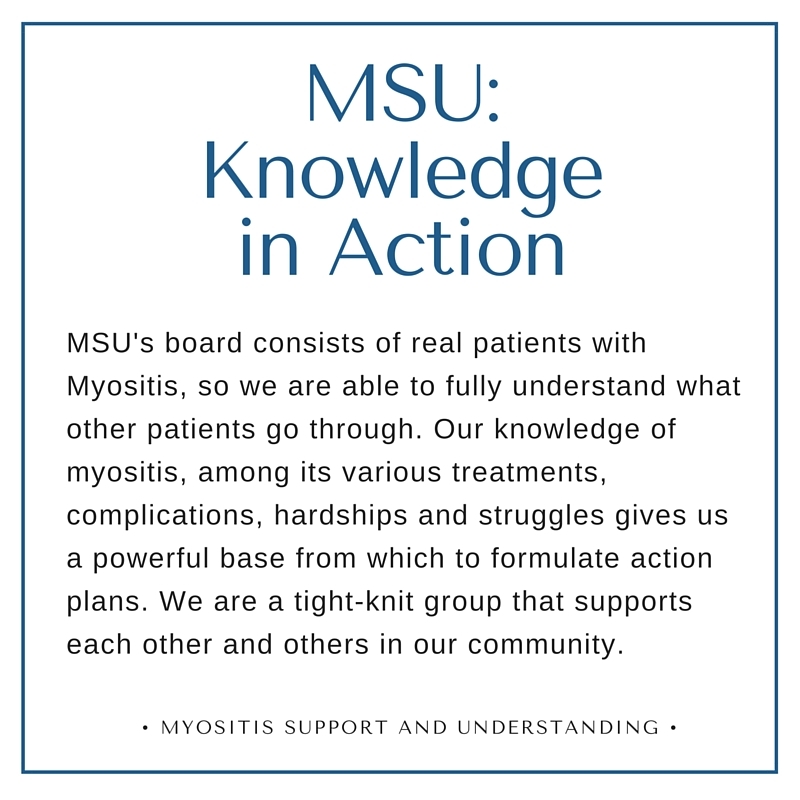 Our board of directors is currently made up entirely of Myositis patients, and a large majority of our volunteers have a form of Myositis as well. 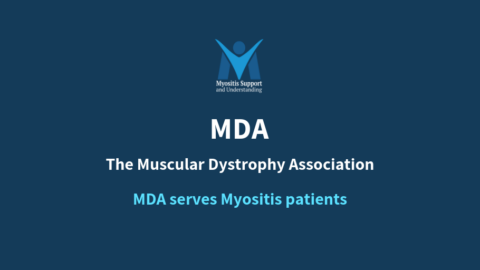 This provides us with a better understanding of what is needed in the Myositis community and the ways that the programs and services would best be delivered so that everyone is able to have fair and equal access. When building programs, we have to remember who we are building them for. In this case, for people who have weak muscles and may not be able to leave the house easily. An important way we help is by providing various support options that are realistic to those living with a muscle disease. Due to muscle weakness, pain, fatigue, and the need to avoid the sun, in-person support groups are not always feasible for Myositis patients. Instead, we bring the support to patients and caregivers where they can feel safe, as we always honor their privacy. In an effort to provide that same face-to-face interaction as with an in-person group, we have created online video chat sessions where people can freely share their experiences, learn from the experiences of others, learn new hobbies, attend fun and inspirational sessions, and become educated on specific topics. We also operate several closed Facebook support groups, and our newly refreshed website provides a social networking experience for support and friendship. Education is key to understanding and advocating for our health and is at the heart of MSU. 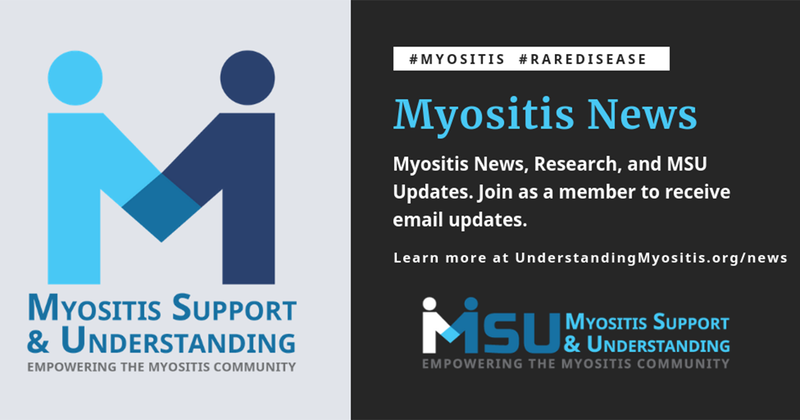 We encourage both patients and caregivers, along with their family members and friends, to learn more about Myositis, and to check out the resources that we have made available to help. We believe in “Knowledge in Action.” We promote self-advocacy and want patients to know they have the right to, and should, speak up. 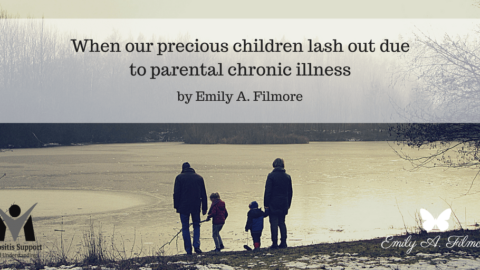 Many doctors do not have the time to provide the education that should be given when diagnosed with a rare disease. So it falls to us, as patients, to do our own research and to educate and advocate for ourselves. This is why our new website incorporates our “Simply Put” series to make the information easy to understand. Our plans, in the future, include our upcoming medical advisory board creating an educational platform where other doctors and healthcare professional can learn more about Myositis, the diagnostic process, and treating patients. This will help to ensure that the doctors on the front line of a diagnosis are aware of what they need to know to either make a diagnosis, or admit when the patient should be referred elsewhere. 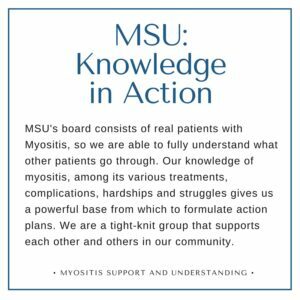 Education truly is what will bring about increased recognition, awareness, and understanding of Myositis, and its challenges.